Alstom will supply six additional Coradia Meridian regional trains to Trenitalia in Italy, for its Trentino Region. The order is part of a frame contract signed with Trenitalia in 2012. The delivery will start at the end of 2016. 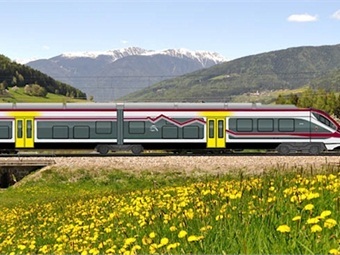 Coradia Meridian for Trentino is a six-car Electric Multiple Unit (EMU) train, with a capacity of around 300 seats. Its concentrated traction system with two motor bogies, optimizes the electrical braking capability of the train allowing energy consumption and brake wear to be reduced. With a 95% rate of recyclability, the train is environmentally friendly. Coradia Meridian regional train meets all new standards in terms of comfort, safety and accessibility. 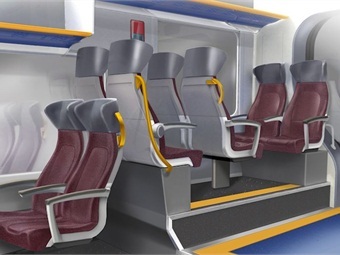 Its low-floor facilitates access to passengers, especially those with reduced mobility. Each door is equipped with integrated bridging plates to fill the gap between the train and the platform. For passengers’ comfort and safety, the train is equipped with on-board video-surveillance system as well as display screens visible from all parts of the train, audio information, Braille signs, sockets for mobile phones and laptops, and space dedicated to luggage. 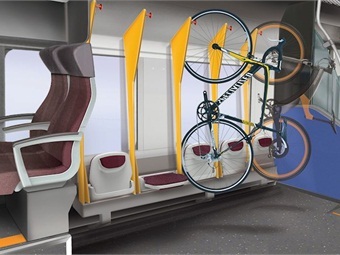 Bike storage space will go from eight to 20 bicycles, which is an important step towards a better integration of transport, moving towards achieving sustainable mobility. To date, more than 100 Coradia Meridian regional trains are in circulation in Italy. These trains, which improve the quality and comfort of travellers, are already operational in Piedmont, Lombardy, Tuscany, Umbria, Lazio (version Airport), Marche, Abruzzo and will soon enter into service in Campania, Trentino and Sicily. The trains are designed and manufactured in Alstom sites of Savigliano (CN), Sesto San Giovanni (MI) and Bologna.